Arshi Khan is an Indian actress, model and television personality who gained fame by appearing on the eleventh season of the Indian reality show Bigg Boss as a contestant. She won the Miss Glory Earth beauty contest as well as made it to the finals of the Ms. Bikini Online contest in 2014. She also has starred in Tamil and Hindi films. Arshi Khan was born on 28 November 1989, in Afghanistan. She’s currently 29 year sold. She attended Mayo Medical College in Bhopal. Due to her low profile, we couldn’t find any detail about her love life and dating history. In 2015, she headlined when she claimed that she was in a relationship with Pakistani cricketer Shahid Afridi and slept with him. However, she accepted the fact that she lied about her relationship with him when Salman Khan asked about it in Bigg Boss 11. Arshi Khan made her film debut in the 2014 Tamil film Malli Mishtu. Following that, she made her Bollywood debut in the 4D historical drama flick, The Last Emperor. In 2017, Arshi Khan appeared in the 11th season of the popular reality TV show, Bigg Boss as herself. She was evicted form the house on Day 83 and later entered as guest on Day 100. Having participated in the popular Indian reality show, Bigg Boss 11. Born in Afghanistan, Arshi relocated to India when she was 4 years old. After graduation, she moved to Mumbai to try her luck in modeling. In 2014, she won the Miss Glory Earth beauty contest as well as entered the finals of Ms. Bikini Online Contest. She is a trained dancer who in college days had participated in several cultural and state level competitions. Her popularity climbed up when she became a part of Bigg Boss11. She eventually became Google India‘s 2nd-most searched entertainer in 2017 after Sunny Leone. 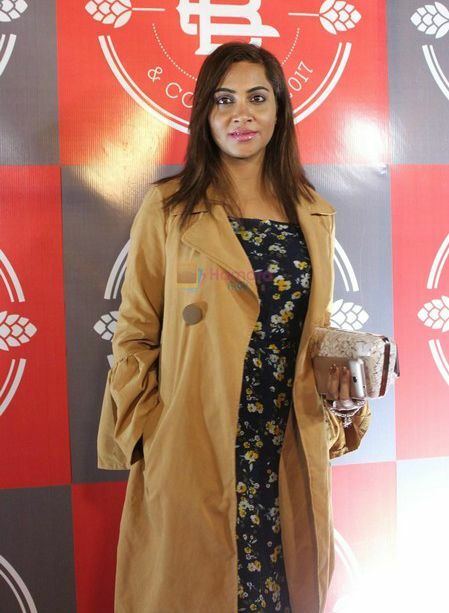 Arshi Khan launched her own clothing line – The Elegant and The Arshi Khan Collection. Known for her public stunts, Arshi Khan announced that she would strip naked if Pakistan wins the 2017 Champion Trophy match against India. But, India won the match. She once painted a Pakistani flag over her breasts and her lower body while wearing a bikini, which stirred controversy among the Indian masses. Arshi has claimed that spiritual leader Radhe Maa had approached her to join the prostitution ring that she operated. She was awarded the “Indian Affairs Entertainer of the Year 2018′ at the Satya Brahma founded 9th Edition of India Leadership Conclave 2018 held in Mumbai on 6 July 2018. Her Facebook account was suspended after she posted pictures of herself wearing a bikini with a hijab and a burkha in 2016. The mufti of a madrassa in Pakistan has also issued a fatwa against her in context to the same issue.